Grant McFarland is the head Protector of Clan Lochguard. His top priority is finding the traitorous former clan members who attacked the Scottish clan. However, the touch of a female he's known his whole life has started to set his body on fire. Both man and beast want her, but until he can ensure the clan is safe, he must resist her. Faye MacKenzie used to be in charge of security for her clan. Then an attack damaged her wing and she's been struggling to find her place ever since. When she confronts the head Protector for a job, she can't stop looking at his lips. However, she's not ready to give up her career and settle down with a mate. She's determined to prove she's still useful, injury and all. As the pair set out on a new mission, it's hard to deny the attraction between them. However, when the danger amps up, will Grant accept Faye for the warrior she is? Or will his overprotectiveness end up harming them all? This is grants and faye story! There is action, some humor, teasing, and a bit of romance. New characters get introduced and there is a lot of care and love in this story. I like the fact that the author includes previous characters such as finn and Arabella’s pregnancy and labor. Grand and Faye had both known each a long time but had their faults. They both volunteered to an assignment away from the clan. Had grant had that opportunity to find the traitors and Faye wanted to proof herself and the head protector that she can still be useful. They never realized what they were to each other because they weren’t ready and as their clan gets threats they find suspicious objects and try to solve the problems before they go crazy and get into a mate frenzy claim. I definitely recommend the series. Also with you should follow the stonefire series. I loved it and can’t wait to get lost again on the next book and in this world that the author has created. So let me first off saying that I am in love and obsessed with Jessie Donovan. I think that she is a wonderful writing and I love everything that she writes. This book did not interest me like her others. I do not know what it was but there is just something. I like Faye and I like Grant I just did not like this book. There were interesting plots and I am glad that we are learning more about the Dragon Knights but it was just an okay book. This really felt like a filler book. The Dragon Warrior has stolen my heart! 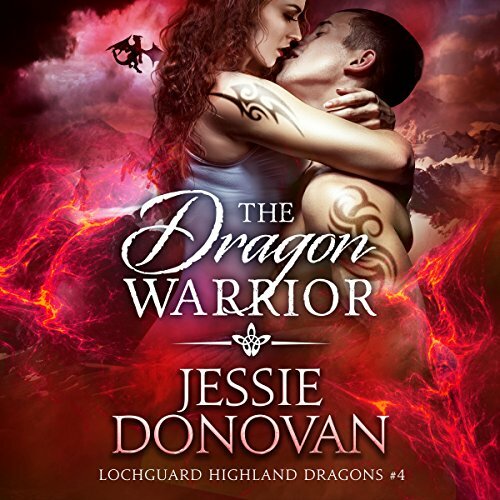 This is by far one of my absolute favorite Jessie Donovan books! The chemistry between Grant and Faye make this book delectable! As a handicapped disabled veteran myself I can relate to Faye. I hate the pity in others eyes and feel the need to prove myself to others as well as myself, just like Faye. And that’s how this book gets started, Faye used to be the head protector but now it’s Grant, so instant tension. But the tension is also from a special moment between these two after a recent attack. I adore how the Irish come into play as well as the new DDA employee named MacKintosh! And the steamy scenes in this book are hot enough to cook a meal on! Do not, I repeat Do Not, pass this book up! 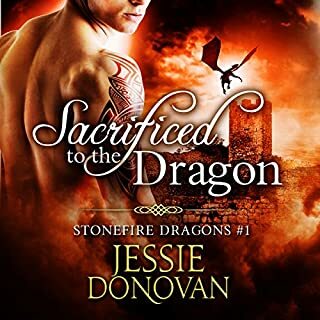 I do recommend reading all of Jessie Donovan dragon shifter books. Especially the ones preceding this so you don’t miss all the little peek-a-boos of previously loved characters that pop up. Enjoy my dears! As always Jessie Donovan gave us another to kill book! This is Grants and Faye’s story and we have waited for a long time to see what would happen with these two. Faye is still hurt over the past and with her wing wounded she feels left out of the clan and that she has no place there..
Grant is fighting his need to protect his clan and to find the traitors. Can these two work things out between them and keep their clan safe? I love how strong headed both Faye and Grant are and how they can make you smile and laugh when you most need it. 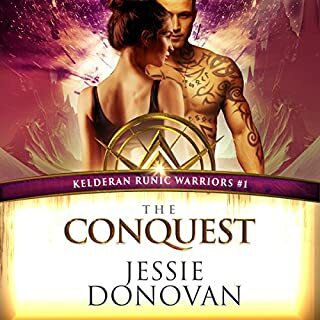 I love that we get to see other characters of other clans as well and especially we get to see characters that we love and care for and that Jessie Donovan has made us care for through out her series. As always nice world building with intriguing characters and complex storyline! I have to say it one more time though I say it in every book.... I love love love the narrator!!!!! Faye and Grant have a very extensive history. Most of which has been spent fighting or ignoring each other. But something has changed. This Audio version of the book is awesome. I must admit I do miss the original narrator but Brian has also done a fantastic job of bringing these characters to life with his voice. I found this book to be very emotional, but beautiful in its own right. Definitely a great book. Absolutely loved all of the fussing that went on between these two. The whole story will keep you so interested you will not want to stop listening to it. This whole series is full of twists and turns that you cannot wait for the next couple to come around. Really enjoyed this book, Faye's dragon was different from the others given that she wasn't so easily won over, even by her true mate! These two are a great match and Faye's dragon made me laugh! Can't wait for the next book! Narrators Voice Brian J Gills has a smooth voice . Faye MacKenzie was head of protectors but due to accude b there she is relieved of duty. Grant is given head of protectors while Faye recovers. Grant McFarland searches for the traitors in his free time due to they are his family. Faye and Grant are cat's gaurds for the artistic gathering of Dragon shifters. Faye and grant fight there attraction while protecting cat. While cat is touring Grant finds a 2 traitors and captures 1 of them. A call comes from Finn while touring with Cat Grant and Faye are called back and others are sent to help with the tour of the artist. 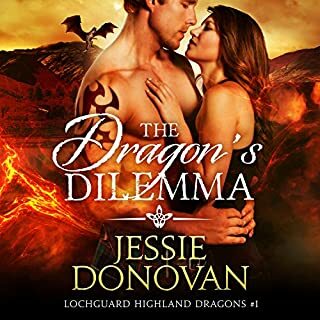 Faye and grant are back at Lochguard to help protect Ara and the Triplets from the Dragon Knights. 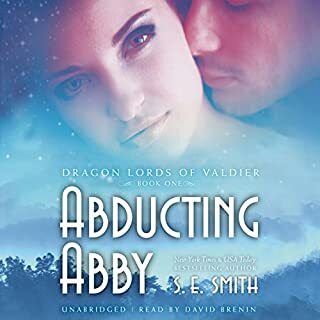 The Dragon Knights are out to hurt Ara and the Triplets. While Faye and grant protect the dragons. They fight there attraction for each other. This is a must read book to find out if Faye and grant can say apart or if they give in to the attraction and let the Frenzy take them. Grant McFarland is head protector of Clan Lochguard and his father is a traitor to the clan. His true mate is Faye MacKenzie, who Grant hurt years ago by telling her that she was not feminine enough for. Grant now wants a future with Faye but he is worried his father will hurt Faye to get to Grant. Grant comes up with a plan to capture the traitors than try to win Faye's heart. Faye MacKenzie wants Grant but she isn't sure she is ready to forgive him for his hurting her in the past. When Grant tells her that he trusts her and wants her help with the traitors and then wants to share the head protector responsibilities along with claiming her as his true mate, she decides that she is ready to take the responsibilities and forgive him. Then a bomb goes off. Will Faye and Grant get there happy ending or with the bomb take a future away. Love this story and the narrator is awesome. I am really enjoying this series, & look forward to more as it's hard to stop listening. Quite different from what I would usually listen to. I enjoyed the story line, from intrigue, laughter, even the raunchy. Fantastic narrator too, nice voice to listen to.